Andrew Taylor Still lost confidence and hope in the medical therapies of his day after three of his children died of meningitis in 1864. He became obsessed with finding the cause and the cure for disease. Still developed a philosophy of osteopathy that was holistic, naturalistic, and emphasized health rather than disease. He shunned drugs and used a manipulative therapy designed to release the healing powers of nature. After years of thought, study, and experimentation, Still opened the American School of Osteopathy in 1892 in Kirksville, Missouri, far removed from the medical centers of traditional medicine. Author Carol Trowbridge tells us about Still’s family, the communities he lived in, and the events that shaped him. 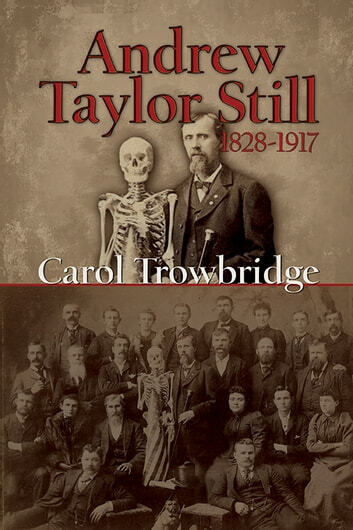 She helps us understand this eccentric medical pioneer who was never fully accepted by his peers, but whose holistic methods are now considered the cutting edge of medicine today. He leaves a legacy of patient-centered care that impacts providers and patients around the world.